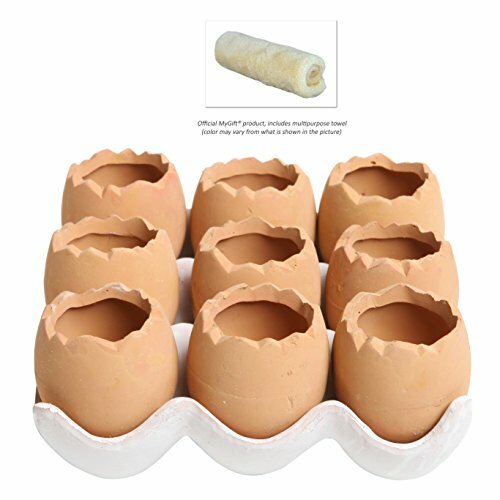 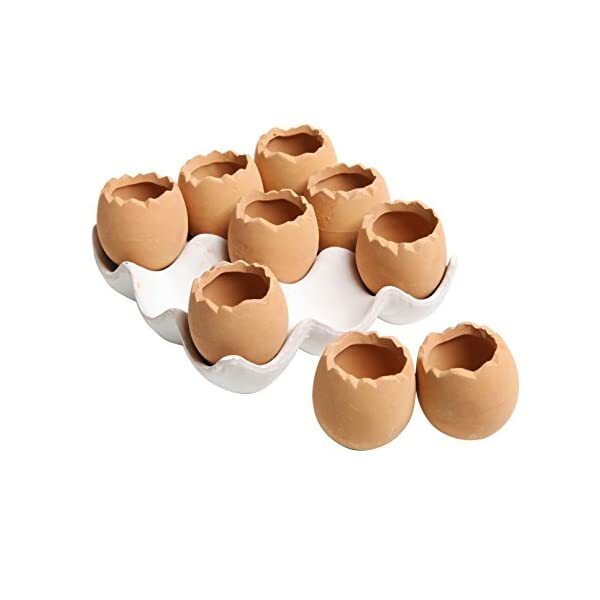 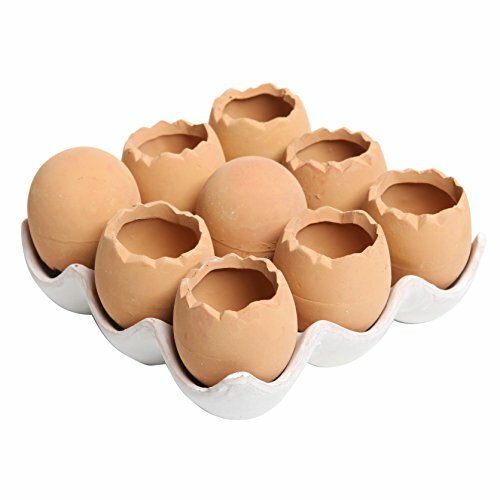 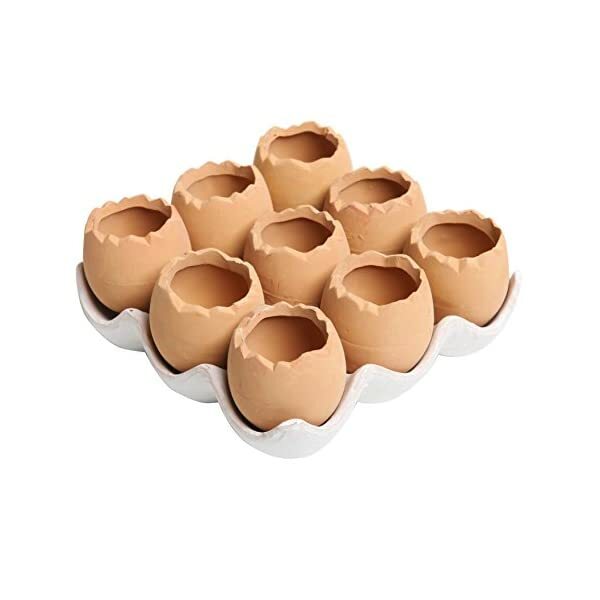 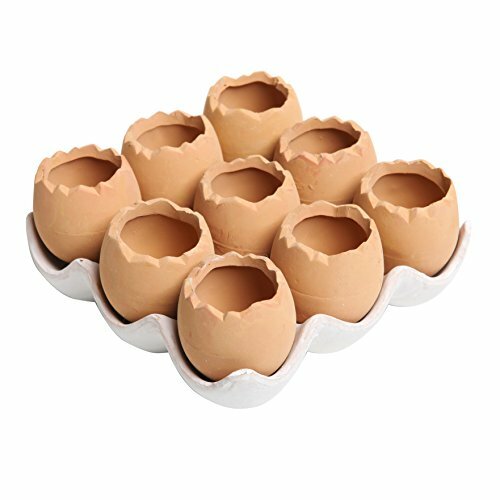 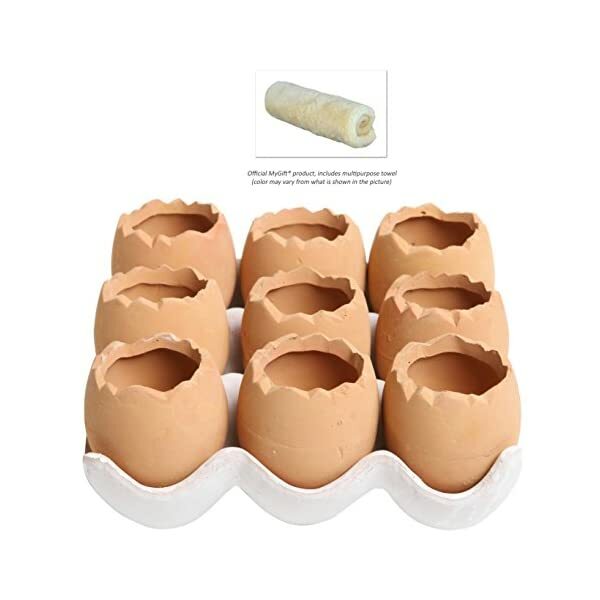 Decorative planter set featuring 9 small, egg-shaped terracotta flower pots on a white ceramic tray. 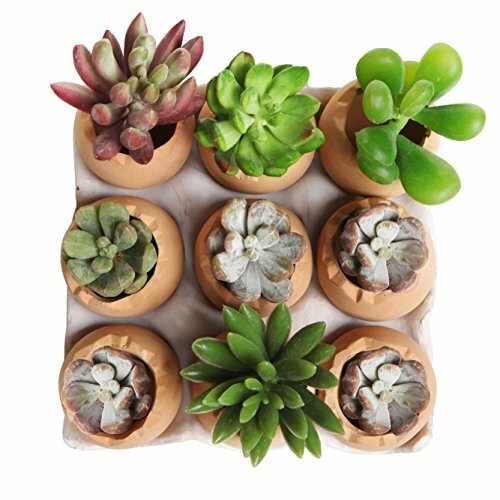 Each terra cotta planter pot is just the right size for a small potted plant, especially seedlings or small succulents. 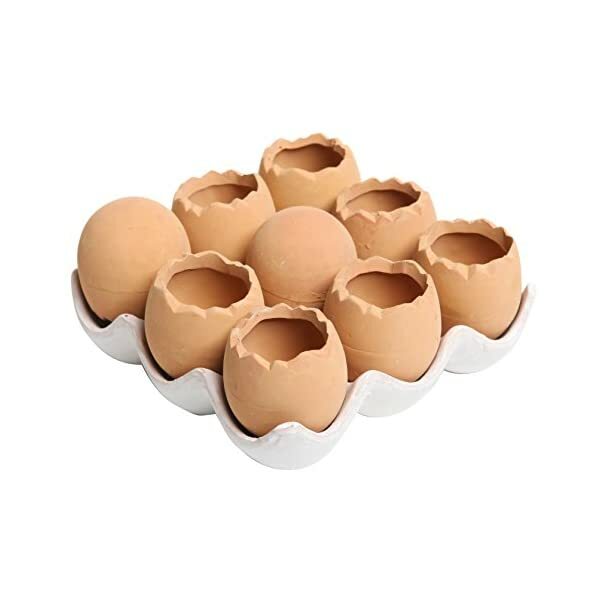 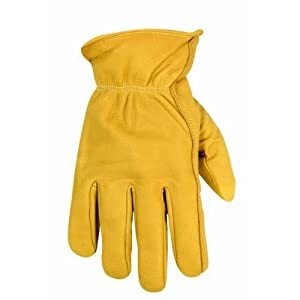 Makes a lovely decorative accent and conversation piece for any spot in your home or on your deck. 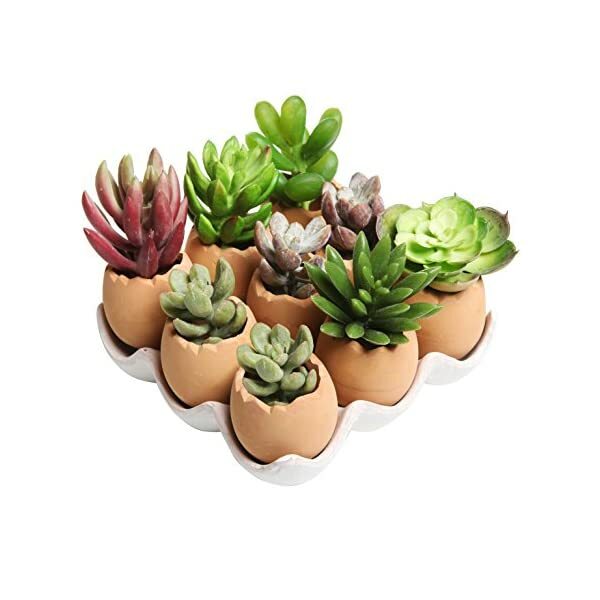 Add a fun decorative touch and a dash of greenery to your home, deck, or office with this beautiful planter pot set. 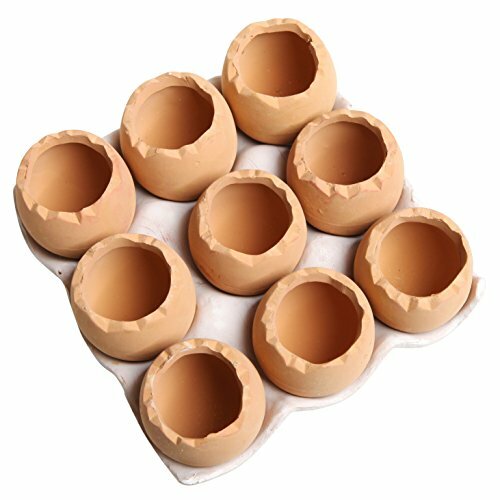 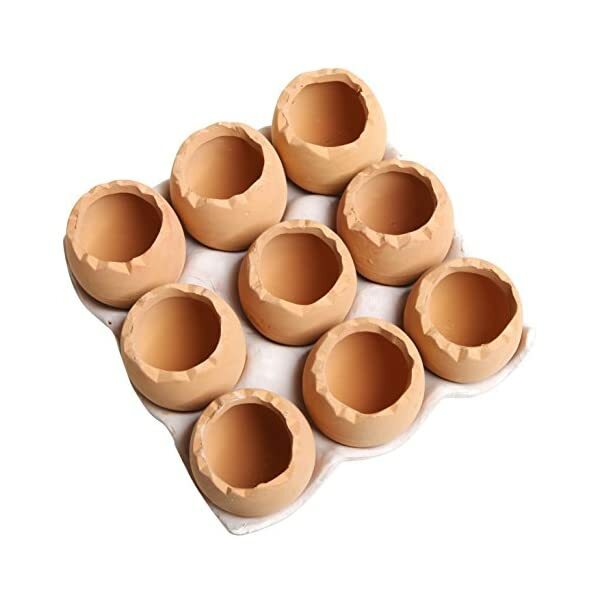 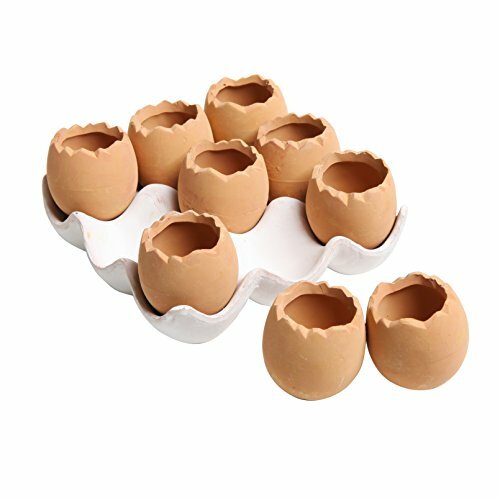 Together, the small terracotta flower pots and the white ceramic tray are designed to look like 9 brown eggs on an egg-cup tray. 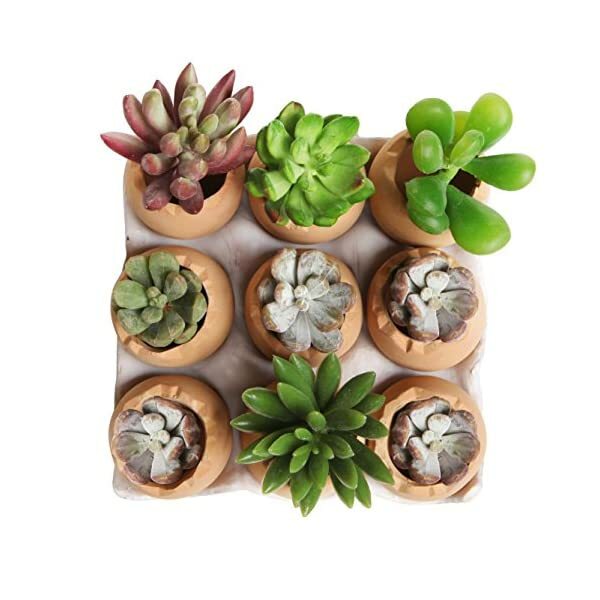 Set this flower planter set on any table, counter, desk, or deck railing to add a fun and eye-catching decorative accent and conversation piece to any space. 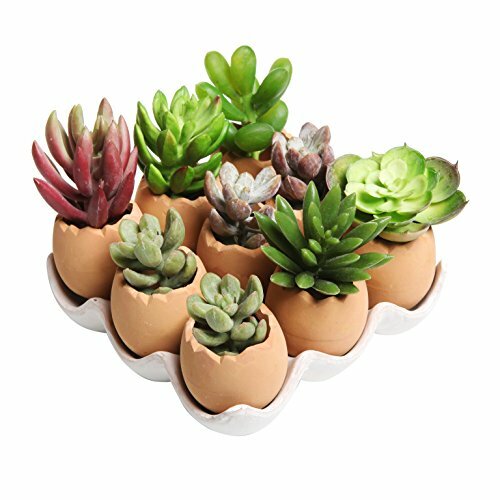 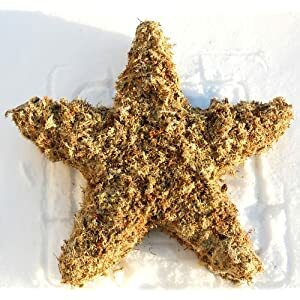 Approximate Dimensions: Overall – 5.5″ W X 2.5″ H X 5.5″ D; Interior Planter Pot (each) – 1.75″ H X 1.5″ in diameter.